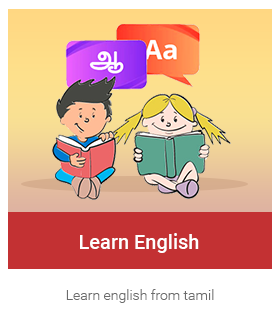 level 1 Kuselan: Learn English with the help of your favourite hero Rajnikanth's movie clip - Kuselan. Learn new words and construct sentences on your own. Also practice to write and speak. level 2 Autograph : Watch and listen to the title song from the movie Autograph and learn new words. Practice to speak and write in English by constructing simple sentences on your own. level 3 Pulikesi: Learn English with the help of your favourite comedy scene from the movie Pulikesi. Learn new words and construct sentences on your own. Also practice to write and speak.